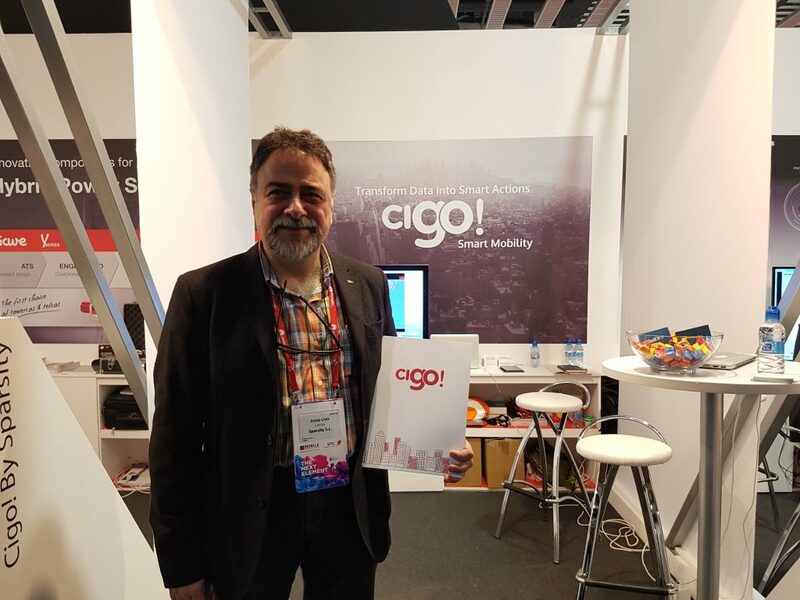 El Dr. Josep Lluís Larriba, director de DAMA UPC, a l’estand de cigo! al MWC17. This week Barcelona is hosting a new edition of the Mobile World Congress. The event’s importance is clearly demonstrated by its figures: 2,200 exhibitors, over 100,000 professionals and 4,000 accredited journalists. The economic activity that takes place over four days is only overshadowed by something that can sometimes appear to be in the background: the relevance of what is presented. This entry was posted in Sin categoría and tagged BigIoT, cigo!, DAMA UPC, inLab FIB, Josep Lluís Larriba, Mobile, mobility, MWC17, Sparsity on 28 February, 2017 by www-citupc.